If your child has been injured by a defective Pillow Pets Dream Lite, contact Carr & Carr Attorneys at 1-877-392-4878 to talk with a personal injury attorney who can help you decide if you have a case. There have been numerous reports of problems with Pillow Pets Dream Lites. This is a product that is used by children. March 2015 – A mother in Houston Texas reports that her child was strangled by strap that accompanies the Pillow Pet. October 2014 – A mother reported that her four-year-old daughter sustained severe burns after using the rainbow unicorn Pillow Pets Dream Lite. The daughter reportedly woke up in the middle of the night screaming that she was on fire. The mother saw that her shirt was burned. 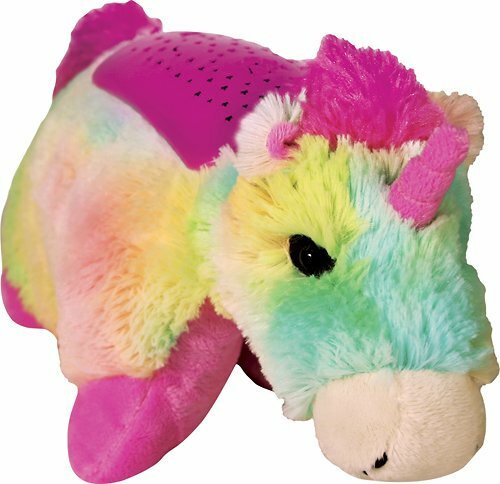 May 2014 – Another consumer reported that the plastic battery case to the Dream Lite Pillow Pet melted. The product was fortunately not near a flammable source. December 2013 – A woman in Texas reported that the battery pack started to melt. November 2013 – A person in North Carolina reported that the product caused his or her daughter to sustain second degree burns after the batteries overheated and melted the plastic as the girl was snuggling the pillow and falling asleep. 2011 – A little boy was reportedly killed after he was strangled by the strap that comes with the Pillow Pet. As of the date of this posting, the product is still available for purchase from popular outlets such as Amazon and Walmart. Pillow Pets Dream Lites is manufactured by Ontel Products. Ontel Products was notified in May of 2013 through the Consumer Product Safety Commission from a consumer who stated that her child’s Pillow Pet partially melted when it was left on overnight with her child, despite the fact that the consumer made sure that the automatic turn-off timer was turned on. is unclear what is causing the batteries to overheat but it is clear that this is happening too often and putting children at risk of injury. There have been two reports of the Pillow Pet causing strangulation risk in children who sleep with the Pillow Pet. Erin Rowland of Houston, Texas reported in 2015 that her child woke up in the night screaming. When Erin went to see what the problem was, she found that her daughter had the strap to the pillow pet around her neck. The Velcro portion stuck from the strap stuck to the girl’s pajamas. The strangulation risk can be seen by this picture. You can watch Ms. Rowland’s report here. A tragedy also occurred to a Virginia family who lost a boy after he was reportedly strangled by sleeping with the pillow pet. Please email us or call at 1-877-392-4878 as soon as you can if you or someone you know has sustained property damage from a fire or have been injured by this product and want to visit with us about compensation for damages caused by it. Further, if the product is shown to be unreasonably dangerous it is possible to work towards having the product line removed from store shelves. If the product malfunctioned, keep it in a place away from children as it can be very important to prove what happened. There are deadlines, which vary by state or federal law, to give certain notices and file suit. Failure to meet these deadlines can result in untimely claims for compensation being denied. We can help injured people anywhere in the United States, regardless where you live. We do not charge anything for an initial consultation.